Perched high along a ridge that overlooks a wide and verdant valley, the village of Sault in Provence is an exceptionally pretty area of France to visit all year round. This old fortified village is however especially beautiful in the summer when the many lavender fields that Sault overlooks come into full bloom. So flourishing and rife are Sault’s lavender fields that these fragrant flowers have long been used to make cosmetics and soap in Provence. 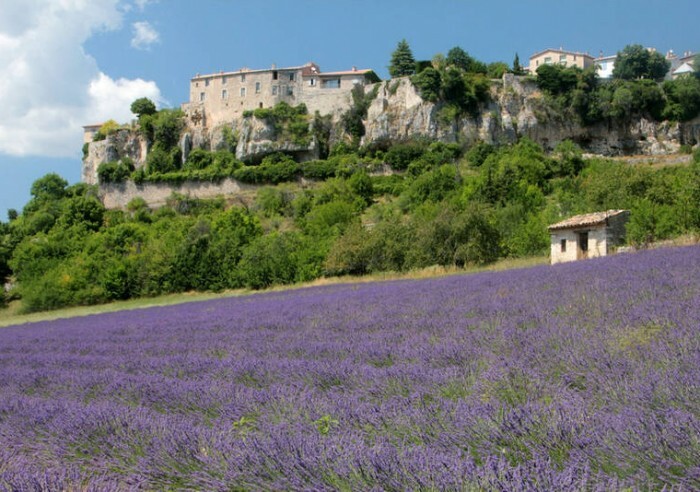 Asides beauty products, the lavender of Sault is used as an ingredient in Provencal cuisine, with lavender honey being an essential ingredient in the region’s legendary lavender sorbets. So important is this evergreen shrub in this ancient village that a Lavender Festival is held in Sault each year. This year will see the 26th edition of the Lavender Festival held in Sault. The festival will take place on Monday 15th August. Each year the festival attracts more and more visitors, eager to witness this beautiful scented flower enveloped by silvery foliage be creatively utilised in authentic dishes, perfumes and other unique products. The festival highlights include a sickle cutting competition, whereby visitors can participate in the 19th century tradition of using sickles to cut up produce. Lavender enthusiasts can purchase lavender products from the many stalls present at the festival. There is also a book fair, pony rides for children, a painting exhibition and musical activities. With picturesque and laid-back squares, a handful of quality cafes and bars, and being surrounded by carpets of lavender fields, backed by a dramatic mountainous landscape, there are plenty of reasons to visit this unspoilt village in Provence.